The latest Qualcomm Snapdragon processor is powering Samsung’s most advanced smartphone, the Galaxy Note 9 introduced on Thursday. 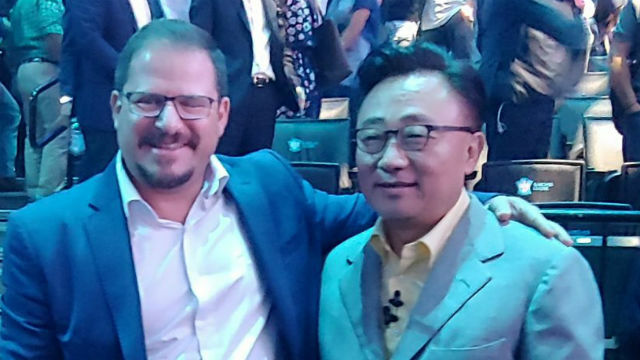 Qualcomm President Cristiano R. Amon joined Roh in New York for Samsung’s product launch at Barclays Center. The phone uses the Snapdragon 845 mobile platform, which the San Diego company said is powerful enough to create immersive multimedia experiences and support artificial intelligence. The new phone sells for around $1,000 and features a 6.4-inch screen, large battery, 128 to 512 gigabytes of memory and an innovative stylus for writing notes.